Chito Miranda explains why he is reluctant to have their songs featured in a musical. Following the success of musical plays featuring the songs of OPM artists like Rak of Aegis and Ako si Josephine, PUSH.com.ph asked popular Pinoy band Parokya ni Edgar if they were also interested in this kind of endeavor considering that their songs have become iconic. 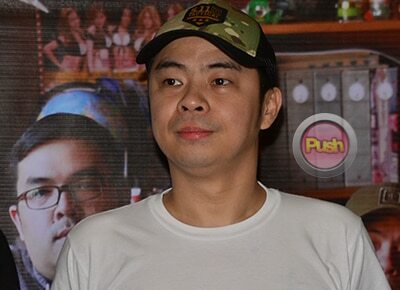 Band front man Chito Miranda admitted that some producers already talked to them about this. However, he expressed disinterest although he said that they have plans. “Sa totoo, ayoko because feeling ko, hindi ‘to false modesty ah, I just don’t think that our songs are that epic to be used in a play like Rak of Aegis,” he answered, adding that Parokya ni Edgar seems like a garage band. Nonetheless, he said that the producers kept telling him that it would work. “Ako, as a songwriter lang, hindi lang ako gano’n ka-confident with my songs,” Chito said, however adding that he already said yes in a way to the offer. In an interview with the some members of the press after their album launch, Chito said that this does not mean he belittles the band. “I don’t think it’s pagmamaliit sa banda. I don’t think din it’s me being humble. I just think na I’m just being honest… That’s how I feel about the band, eh. Na-steady lang siya na ganito. I guess hindi nga siya being humble, eh. I think we’re just confident na masaya na kami na ganito lang, simple lang talaga kami, eh. We’re just comfortable kung nasaan kami ngayon or what we have achieved already,” he said.